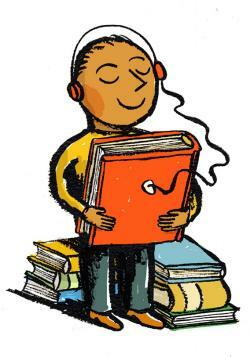 Each credit allows you to buy one audiobook download, whatever the price. I think my greatest saving (of a whopping £39.86!) was on The Complete Sherlock Holmes. However, some of the audiobooks are actually cheaper than the credits. I managed to grab Anne of Green Gables and Jane Eyre for less than £1.50 each in one of Audible’s many sales – what a bargain! I’ve been a ‘1 book monthly member’ on and off over the last couple of years and so far have been extremely pleased. Ordering is quick and simple – I can even download straight to the Audible app on my iPhone. This means I always have a range of audiobooks at my fingertips! Best of all it’s so easy to control your membership. There’s a straight forward cancellation procedure and all of your previous orders are saved. Even when not paying specifically for a membership, you can still browse and buy audiobooks at any time. Audible has a large choice of books but my only small complaint is that they don’t have ALL of the books! This is a whole 58 hours of pure detective fun. Although many of the Sherlock Holmes stories are familiar to me, I have never actually read any of them. And what better way to pop my Sherlock cherry than by listening to every last unabridged mystery in one go! I can be a bit fussy when it comes to narrators, but Simon Vance has a non-intrusive voice and slips between characters well. I’ve noticed he’s narrated quite a few other books including Hilary Mantel’s Bring Up the Bodies, which I am definitely tempted by. I wish I had read Sherlock Holmes as a child because some of the tales are so much fun, such as The Adventure of the Red-Headed League. 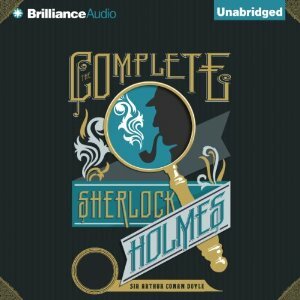 And although as a reader (or listener) many of the mysteries weren’t particularly hard to solve, I got great satisfaction hearing Watson’s surprise at his friend’s cleverness – “My dear Holmes…!” I also found with many of the stories that I simply could not take my earplugs out. The Hound of the Baskervilles and The Valley of Fear in particular had me totally enthralled. 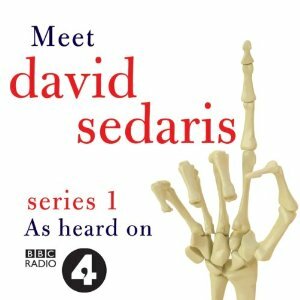 I am a HUGE David Sedaris fan and I have Radio 4 to thank for that! I never get tired of listening to his witty musings. In fact, I have found his audiobooks a lifesaver when feeling anxious or unhappy. All my worries seem to evaporate when entering the strange world of David Sedaris. He can make the most mundane details seem hilariously funny. He is delightfully wacky and doesn’t shy away from writing about the uncomfortable truth. His writing can be very moving – most memorably I found the piece about his sister’s suicide especially poignant. I would recommend the Meet David Sedaris series over just an audio version of one of his books because the added audience interaction (mostly a lot of laughter!) is a real bonus and enhances his performance. My thoughtful son gave me an Audible start up as a present. It was fun for the time, but I really do prefer a book in hand. I like the idea that I have this option though and sometimes hearing an old favorite is a special treat. It’s true that you can never beat a proper book! I have to admit most of the audiobooks I listen to are ones that I’ve already read (I really enjoyed listening to my old favourite David Copperfield, but I’d have to put a lot of time aside to read that again! And the same goes for The Goldfinch). I’ve also been listening to books that I don’t think I would read in print. One example is Gone Girl – I’ve heard so much about it and was intrigued, but didn’t want to invest my time on the book. I listen to audio books when I have a long road trip. They are great companions.